• Who is coming to Tanzania with you – men, women, older children? • Are you all reasonably fit? • What do you fancy? Most people like to climb a mountain and then take a safaris. • What type of Safaris appeals to you -driving or walking? • Where would you like to stay – tented camp or a lodge? • Do you have the time to finish with a few days on the beach? • Zanzibar or somewhere more remote? Now you have permission to dream! Chat with your friends and work out what appeals and we will suggest an itinerary and quote. 1: How Do I Choose an Operator? There are literally hundreds of companies who service the mountain. Selecting an operator can be a daunting task. You want to be sure that your operator staffs are experienced, competent guides, who practice high safety standards and treats porters well. You want an operator that has proven expertise and track record of successfully serving a wide range of client over many years. 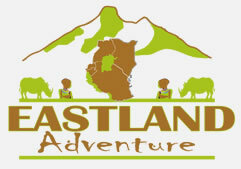 Eastland Adventures has lead climbs on Mt Kilimanjaro nearly for many years and has helped many climbers realize their dream of reaching the summit. Please resist the temptation of selecting an operator solely based on price! Price should be only one component in your overall decision. Prices vary significantly between operators as well as in the length of the climb. Do not come all the way to the mountain just to encounter hidden costs lying in wait. Eastland Adventures offers quality climbs at reasonable rates. Our prices are a great value from $1650-2550 USD per climber depend with route and number of days, excluding tips. At this price level, we can satisfy all park fees, pay decent wages to staff and supply fresh and adequate food as well as equipment, while still maintaining great service to our clients. 3. When are the Best Months? The best times to climb Kilimanjaro tend to be the warmest and driest months – End of December, January, February and beginning of March, June, July, August and September are also good months. However, temperatures and weather are quite unpredictable, and can change drastically based on the time of day and altitude. It’s best to avoid the long rainy season, from the end of March to early June, and the short rainy season, from November through the beginning of December. 4. Which Route should I take? 5. How Many Days do I Need? There are minimum days recommended for each route or combination of routes. The more days you spend on the mountain, the better your chances for successfully reaching the summit. Statistics show that each additional day you spend acclimatizing increases your probability of success. Do not book the minimum number of days. Chances are, you will not enjoy your climb nor will you reach the top. Again, the guide’s advice will come in handy. 6. Should I Join a Group? A private, small-party climb is the way to go. Naturally, a small – party climb ensures individualized attention, added flexibility and increased safety. Most climb operators run large group departures. Once they add the support staff, a “small” group of climbers becomes a crowd! That’s hardly the way to enjoy the mountain. 7. What Do I Need For the Climb? Follow the gear list and resist the temptation to bring more. You won’t need it and it is just extra weight that you or the porters must carry. Upon completion of the climb, you’ll be surprised to realize that what you needed is not that much anyway. Try to limit all of your gear to less than 20Kg. It can be done. 8. What about Altitude Sickness? Altitude sickness is potentially fatal. However, most climbers will get some form of mild acute mountain sickness (AMS) while on the mountain. Our guide will monitor you closely during the duration of your climb. However, you should be aware of the symptoms of mild, moderate and severe AMS, and you must inform your guide of any symptoms immediately. Never try to hide your symptoms in order to continue climbing. There is always the possibility that the impact of AMS will ultimately sabotage your summit attempt. All climbers should have a medical check prior to attempting the mountain. Ask your doctor if high altitude trekking is permissible for your age, fitness level and health condition. Ask if you have any preexisting medical conditions that can cause problems on the climb. Ask if any of your medications can affect altitude acclimatization. Ask whether Diamox can be taken with your existing prescription medicines. 9. What Do I Need Before I Arrive? Not many people have been to such high altitudes before. Therefore, climbers should have a medical check prior to attempting to climb Mt Kilimanjaro. Consult your health-care provider to determine which immunizations and medications to obtain for your travels to East Africa. A valid passport, six months prior to the expiration is required for entry into East Africa. Most travelers will need a visa to enter this region. Climbers should also obtain travel insurance that covers trip cancellation. 10.Do I need to train for this? The best exercise that you can do to prepare for Mount Kilimanjaro is hiking. There are training regimens on other operator’s sites which entail strict, extensive, cross-training programs, featuring hiking, running, biking, swimming, weight training, etc. Do not be alarmed by this. Those programs are excessive and unnecessary to sufficiently prepare for climbing Kilimanjaro. The best and perhaps only exercise you need to do is to hike – period. After all, that is what you will be doing on the mountain. Ideally, you should try to hike as much as possible on hills or mountains to simulate ascension on Mount Kilimanjaro. Doing day hikes is superb training. For those who do not have access to trails, but have membership to a gym, you can train very productively on a stair master machine. If you have no access to trails or a gym, then try to walk as much as you can, with extended walks on the weekends. You should start training for climbing Kilimanjaro at least two months prior to your departure. If you’ve never hiked before, you should start with shorter time intervals, a slower pace, and no weight (in your back pack) and then gradually increase all of the above as your fitness level improves. Remember that on Mount Kilimanjaro, you will walk slowly for prolonged periods, and carry probably no more than 8kgs in your day pack. Therefore, in your training, it is better to increase the time interval/distance and keep a slow pace than to shorten the time interval/distance and increase the pace. Try to train three times a week, for at least one hour per session, at a minimum. If you can do day hikes for four to six hours, with moderate elevation changes (~1,000 ft/305 m) while carrying a 20 lb pack, or if you can walk on a stairmaster for 1-2 hours, at 30 steps per minute while carrying a 20 lb pack, then you’re probably ready for the real thing. Your longest/hardest workouts should be performed two to four weeks before your departure. For the last two weeks, you should taper off your training and in the final days, rest so that your body has time to recover before your actual climb. In addition to walking/hiking, you can also supplement your training with exercises such as running or cycling, which will increase your aerobic capacity. It is imperative that during Kilimanjaro training, you wear the boots that you intend to climb with so that they are sufficiently broken-in (to prevent blisters). Additionally, you should wear the day pack you intend to carry so you’re your shoulders/back/hips get used to the points of contact and weight (to minimize chafing and soreness). Lastly, physical training is just one part of getting in shape. If you have an unhealthy lifestyle, use the climb as your motivation to change. Eat more fruits and vegetables. Reduce your red meat consumption. Don’t drink or smoke. Get eight hours of sleep per night. Don’t worry. Be happy. Getting your body in great shape through physical training certainly helps prepare you for altitude. However, the ability to adjust quickly to the changing oxygen content is largely genetic. As the Kilimanjaro climbing success rates show, some people can climb Kilimanjaro in as little as 5 days (not recommended), while some still fail with 8 days. It is impossible to tell how well a prospective climber may fare in oxygen deprived atmosphere until he or she is actually in it. 11 How soon do I have to book your tour? We recommend booking your trip as soon as possible. Lodges and tented camps on safari are booked quickly, so we need to reserve those before they fill up. However, sometimes we do have space last minute as well.